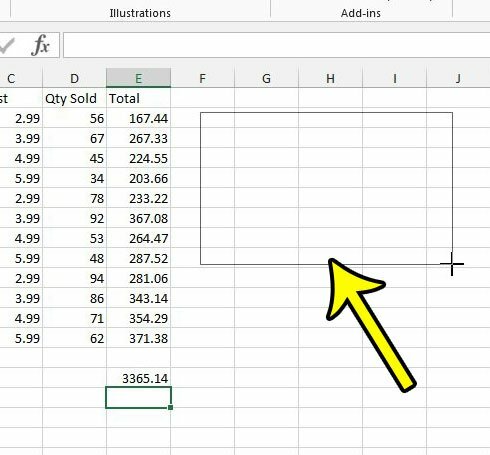 While most of the data that you will typically work with in Excel will be entered into the cells of the spreadsheets, you may have scenarios where you use a text box instead. Whether this is because the spreadsheet is being used for more than just data storage and manipulation, Excel provides you with these tools, and they can have a lot of utility. But you may have discovered that there are some limitations to the text boxes that you use in Excel 2013. Among these limitations is the fact that formulas entered into text boxes won’t calculate in the same way as formulas that you enter into cells. However, you can take advantage of a linking feature that allows you to mirror the content of a cell inside a text box. Our article below will show you the steps needed to accomplish this. 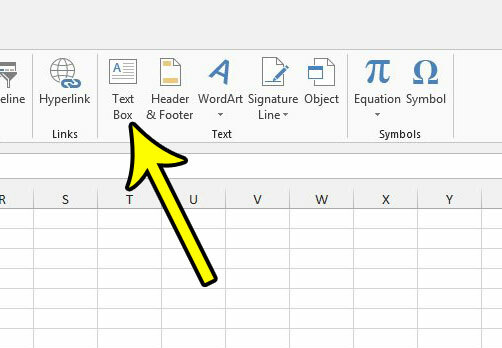 The steps in this article are going to show you how to display the contents of a cell inside a text box in an Excel 2013 spreadsheet. Excel doesn’t let you enter formulas into a text box, but it does let you link a text box to a cell. 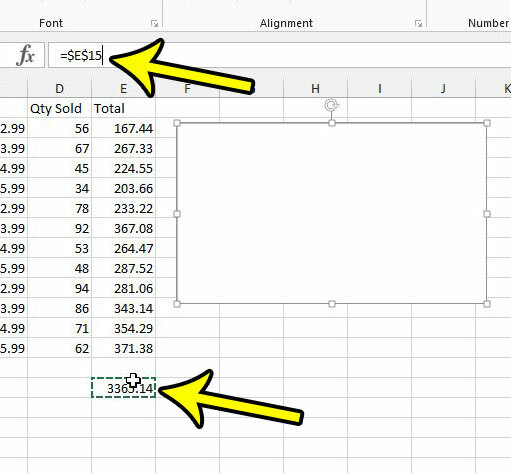 Therefore, you can put the formula into a cell in the spreadsheet, then link that cell to the text box. Our tutorial below will walk you through this process. Step 2: Click inside an empty cell in your spreadsheet and enter the formula whose result you want to display in the text box. Step 4: Click the Text Box button in the Text section of the ribbon. Step 5: Draw the text box where you would like it to be displayed. Step 6: Click inside the Formula Bar above the spreadsheet, type an “=” sign, then click the cell containing the formula that you want to display in the text box. It should look something like the image below. Once you are done, press the Enter key on your keyboard. The result of the formula should now be displayed in the text box. 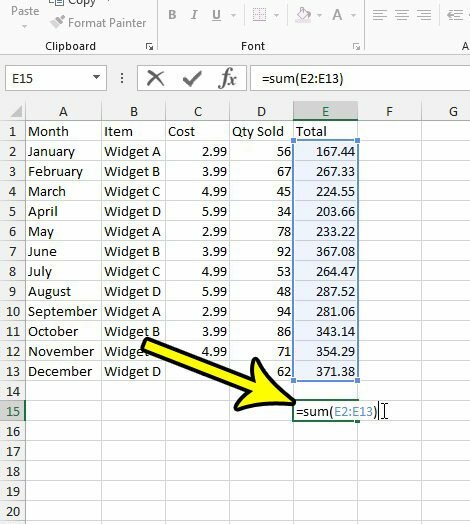 If you adjust one of the values that is part of the formula, you will see that the formula result in the text box adjusts to mirror the value in the cell that it is mirroring. Are you having difficulty printing the data in your spreadsheet? 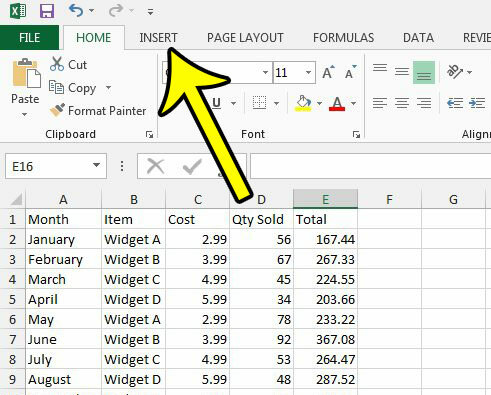 Read this Excel printing guide for some tips and suggestions on ways that you can reduce the amount of frustration that printing in Excel can cause.